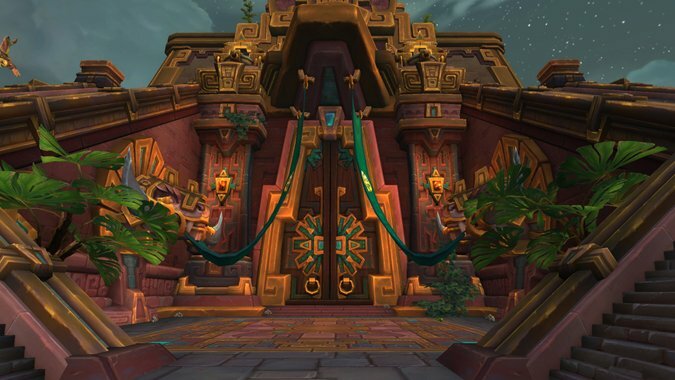 Blizzard pushed an update to the Battle for Azeroth beta servers that’s increased the amount of XP required for leveling, and the amount of AP needed for the Heart of Azeroth at later levels. Wowhead has a full rundown of the exact numerical changes — but as far as leveling goes, what it boils down to is a 15% increase to the XP you need for gaining another level. Given the expansive nature of each of the leveling continents, you’re still not going to run out of quests before you hit level cap — it’s just going to take you a little longer to get there. As far as the Heart of Azeroth changes go, early levels aren’t affected. However, level 10 and beyond has gotten a sharp increase in how much it takes to gain a level on your shiny new toy, up 35% from where it sat previously. The Heart of Azeroth is there to be a powerful item, but it was apparently getting a little too powerful a little too early. There’s a careful balance to be found when creating a new expansion — if players level too quickly, there’s a risk of hitting endgame and not having quite enough to stay busy until the first content patch. If players level too slowly, then that just…doesn’t feel good at all. It’s pretty normal to see Blizzard making tweaks to these numbers as we close in on a new expansion’s release — they’re just fine-tuning the experience at this point. In other words, there’s really no reason to panic here. Leveling on the beta prior to the changes was a pretty speedy experience — a little too speedy, for that matter. Ideally, you want people to hit that level cap at or near when they finish exploring all the new zones. These changes should help facilitate that. And given what we’ve seen of the leveling experience so far in Battle for Azeroth, all those quests are totally worth playing. For more on yesterday’s beta changes, be sure to check out the post in full over on Wowhead.